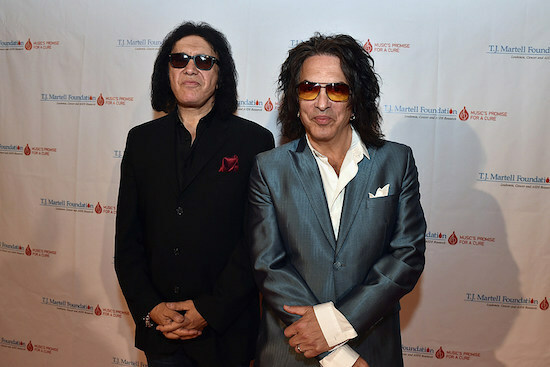 As previously reported, KISS’ Paul Stanley and Gene Simmons were interviewed by Guitar World. In that interview, Simmons made some statements about former drummer Peter Criss, and guitarist Ace Frehely. The remarks resulted in Frehely posting a very scathing retort via his Facebook page. Additionally, Stanley, and Simmons, also discussed their former guitarists, Vinnie Vincent,, and Bruce Kulick, in the same interview. ‹ 1/30: UPDATE ON ALL SORTS OF STUFF! Everyone can go to Youtube.com and search for Vancouver 2019 videos. Right after the show it was impossible to find a single one that would NOT clearly tell Paul is singing to a tape on this tour. But by today, the most enthusiastic fans have deleted lots of bad comments and fixed some videos and reposted them so now performance looks a bit better. Paul is most definitively not singing anymore, I think we can safely say in his life. Bon voayge, Starchild, you gave your voice for us.